When I was a kid, some of my happiest with my friends occurred in a dirt hole in the back of our yard. We’d play with our little green army men; we had a million. My tanks would sneak up the back side of the hole with my brother and his troops on the front. I’m not sure how someone won – it seems like we had more fun setting things up than actually fighting. In the summer, we’d spend time spitting across the fence at our school principal’s son who lived directly behind us. Why we would spit on the principal’s kid? I just don’t know. No wonder my brother spent so much time in his office when September hit. We’d wrestle in the hole and make roads for our Matchbox cars. I even remember having a contest with Adam Fair to see who could hold their tongue on the dirt the longest – Jennifer, Tracy, Chad, Jim, Mike and Jimmy all cheering us on. I’m pretty sure I won. I’d scrape the residue off with my teeth as I slowly drug my sandy taster back into my mouth. I bet the idea for exfoliating soap started in some kid’s backyard. To this day, when my swim suit fills with sand at the beach, the chaffing on my rump brings back fond memories of summers on Berskshire Road. My kids, on the other hand, would no more play outside in a hole than they would shave their heads and jog to school. For them it’s the Wii, or Netflix or the i-whatever they can get their hands on. They don’t know how to make fun out of nothing. Whatever would we do in a bush? There isn’t a television there. But this week, I’ve had a glimmer of hope. 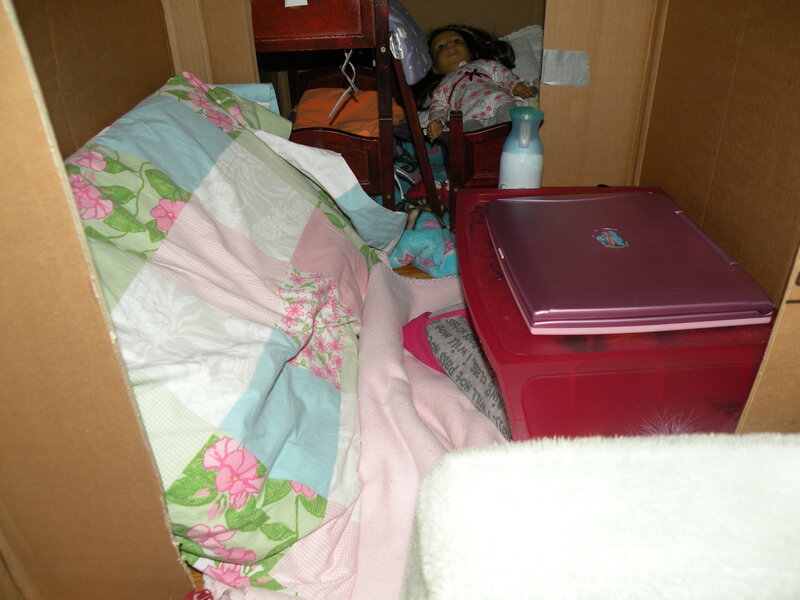 I’ve been cleaning up around the house today and tackling odd jobs and for hours, literally hours, Michelle and Stephanie have been in a box. Well, actually three boxes, side by side. 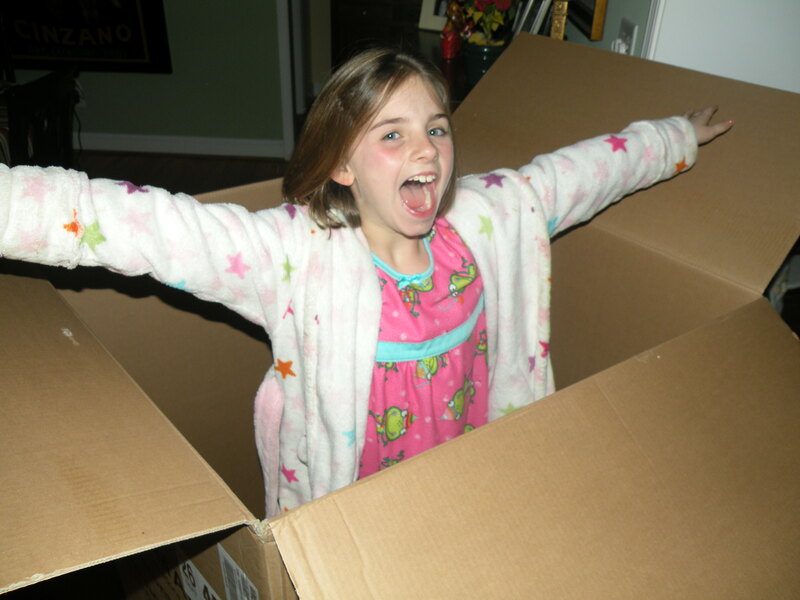 For Christmas, collectively they received one Wii game, four craft kits, an easel and paints, a deck of cards, clothes for their American girl dolls, iTunes gift cards, a game, tons of clothes, a stop watch and more. But, the two gifts they’ve enjoyed the most, a week after Christmas, were three boxes and duct tape. Gifts they had requested. 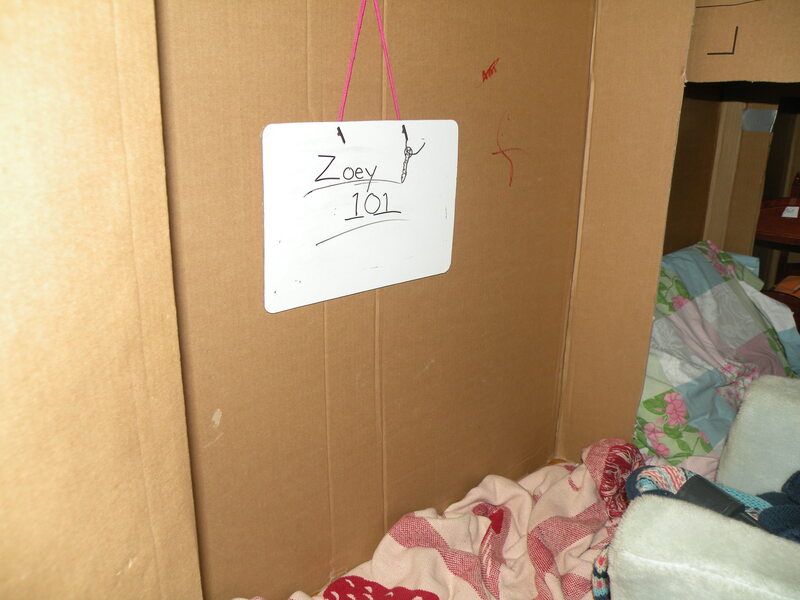 In fact, at one point, the boxes no longer acted as a pretend house. Instead, they became The Duct Tape Company. Stephanie has created a purse, wallet, bracelet and hair bows from the colored stickum. 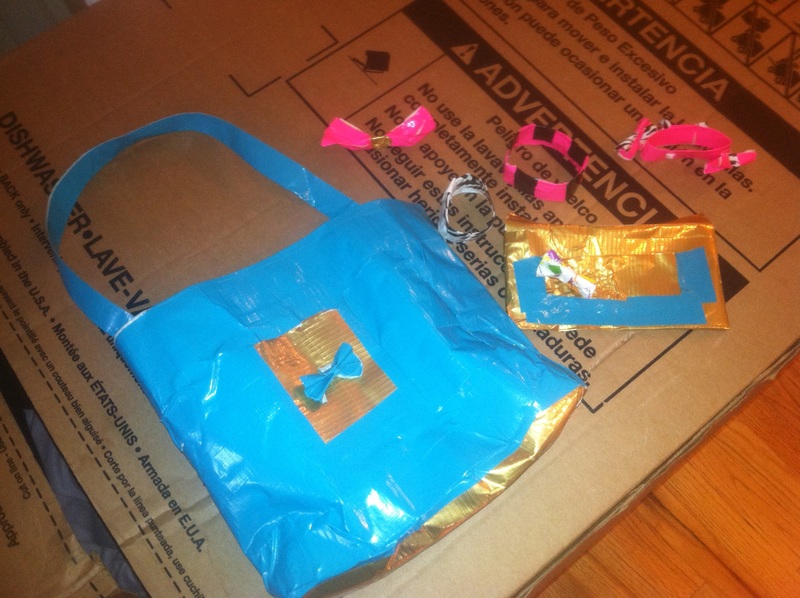 One friend actually wants a Stephanie Duct Taped pocketbook for her birthday. She said she’d actually use it! As I was cooking dinner, I heard laughter and singing and I spotted art, and two amazing imaginations at work. At one point, they were prisoners – captured by the bad guys. 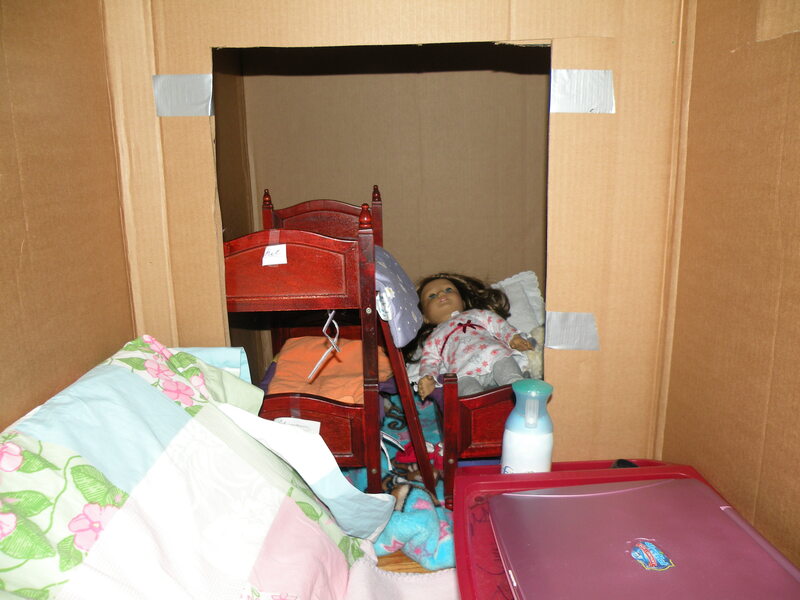 There have been animals in the boxes, mothers, aunts, bankers, chefs and babies. There’s no dirt in there, but they seem to be faring well without it. But I can’t get too excited. Michelle took a small dry erase board she found in her room, drew a TV screen on it, wrote Disney Channel across the front and hung it on the wall in the box. I guess that made it feel just like home.